2017 was a very good vintage in Burgundy and a pleasure to taste from barrel. The red wines are juicy and fresh with light tannins and body while the whites are linear with wonderful detailed flavors. 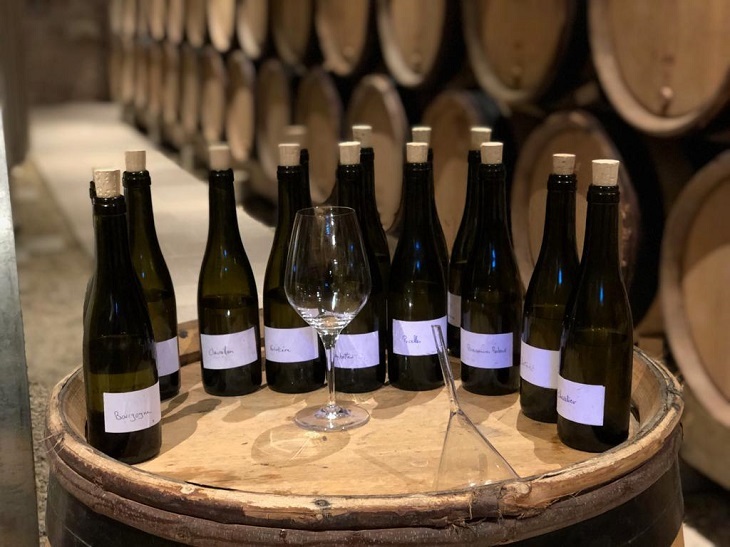 In terms of overall quality, whites trumped the reds in quality both in terms of their finely-etched and flavor profile and consistency across all levels and appellations. Below are my top 10 white wines from the 2017 vintage. Incredible intensity and depth in this Montrachet in 2017. Focused, complex with layers of toasted nuts, white flowers and lots of minerals. Wonderful example of this grand cru vineyard. The wine stands out as clearly the most complex and intense from Sauzet. From 50-60 year old vines; only 4 barrels made. Refined and elegant with subtle layers – this Chevalier is all about crushed stones and minerals. Gentle yet strong, intense and focused with a persistent, very long finish. Gorgeously intense, focused, complex and layered. An amazing Les Clos that is one to keep in the cellar for decades but has the harmony and expressiveness to enjoy in 6-8 years time. This is always one of my favorite Meursaults! Gorgeous flavors of intense, layered minerals and crushed stones. Lingering, long and haunting in its beauty. This vintage had wine aged 50% in glass containers and 50% in old oak. Very powerful Corton Charlemagne with amazing depth and intensity in this vintage. Layers of flavors range from mixed nuts to spices and white flowers with hint of white peaches. Refined, lovely and very long on the finish. Gorgeous Les Clos wiith minerality, weight and focus. This vintage is beautiful because it is expressive and balanced, showing the wine’s depth and complexity even in its youth. Long, persistent finish. Gorgeous Batard with lovely minerals and mixed toasted nuts. Intense, linear and fabulously structured. Long, lingering finish. A poetic Chevalier-Montrachet that has elegance and delicacy. The floral and stone fruit flavors combine with intense minerality and firm core structure on the palate. There is tension and energy in this vintage which adds to the depth and long finish. Since 2012, this wine is made at Domaine de Montille. A glorious Corton-Charlemagne that is a thing of beauty. Incredible intensity, focus and power but lacy and delicate at the same time. Henri Boillot manages to coax concentration in a wine that is delicate and detailed. Long, lingering finish. An amazing Chevalier grand cru with depth and complexity; a contemplative wine that has lovely linearity and length. Beautifully composed and very intense. A wine for aging long term – at least a decade or more.